• A 10-volume manga series. 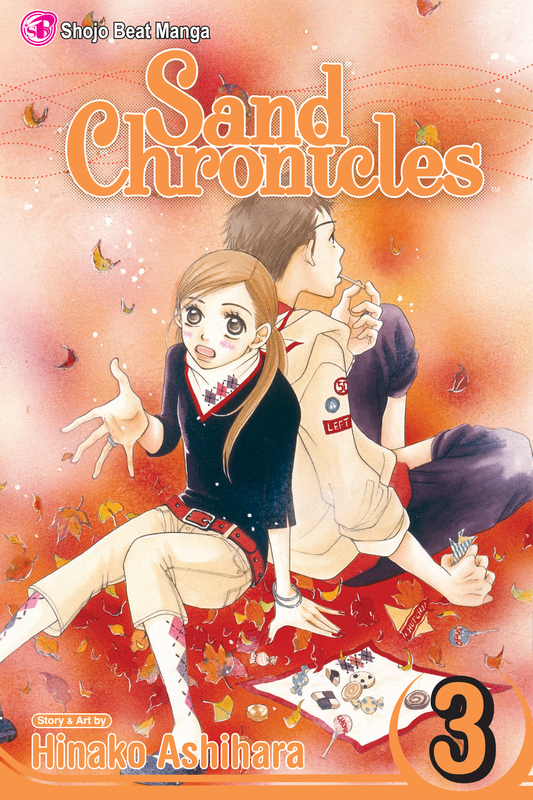 • Sand Chronicles has become very popular in Shojo Beat magazine after its first installment! After her parents get divorced, An Uekusa and her mother move from Tokyo to rural Shimane. Used to the anonymity of city living, An can't get used to the almost overbearing kindness of the people in her mother's hometown. But when personal tragedy strikes, An discovers how much she needs that kindness. Can the sands of time bury the pains of the past? Sweet 16-year-old Ann returns to rural Shimane from Tokyo for the summer, eager to reconnect with her boyfriend Daigo. But will the allure of their close friends--wealthy brother and sister Fuji and Shika--sunder the romantic ties that have bound Ann and Daigo since they were 12?